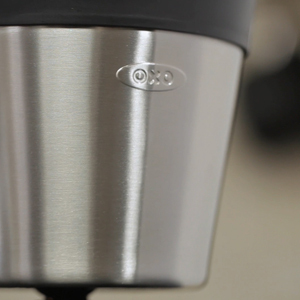 Sorry, we are currently sold out of 'Oxo Barista Brain 9 Cup Coffeemaker'. Please check back later. Buy with confidence. 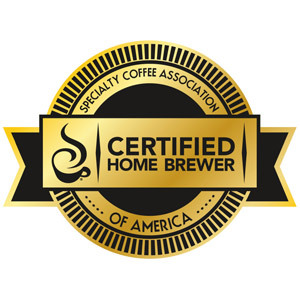 We've sold thousands of coffeemakers. 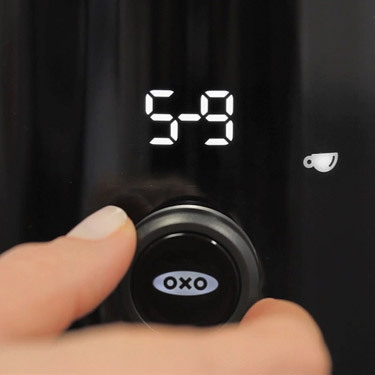 The OXO "On" Barista Brain 9 Cup Coffee Maker combines the power of science and timing to create a perfectly extracted cup of coffee. The brewer has an intuitive LED interface that displays the brewing status and freshness indicator. 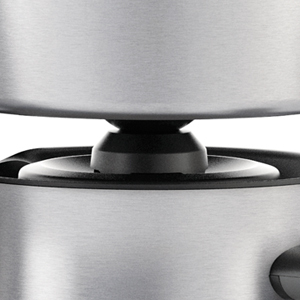 The single dial design allows you to program how many cups you want to brew at a time. You can select between two settings, either 2-4 cups of 5-9 cups and the brewer automatically adjusts brew time to account for the capacity you choose. First, water is heated to the optimum brewing temperature (197.6-204.8 F degrees) and maintains this temperature throughout the full brewing cycle. Next, water is pumped to the brew basket in timed cycles, beginning with a short cycle known as a pre-soak that allows coffee to "bloom" while it releases gases for full flavor extraction. A built in microprocessor measures time and temperature from beginning to end, ensuring precision during each step of the cycle. 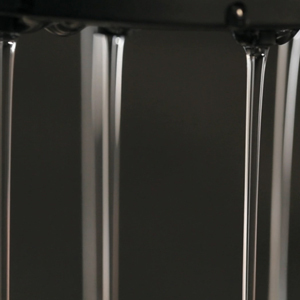 The showerhead is perfectly designed to evenly disperse water over the coffee grounds for optimal saturation and flavor extraction. The cone shaped brew basket ensures coffee grounds are perfectly saturated no matter which brew size setting you choose to use. Once coffee has entered the carafe the internal mixing tube delicately blends coffee as it is being brewed into the carafe, ensuring the first and last sips are equally delicious. Other notable features include a freshness timer which will indicate how long its been since your coffee finished brewing. 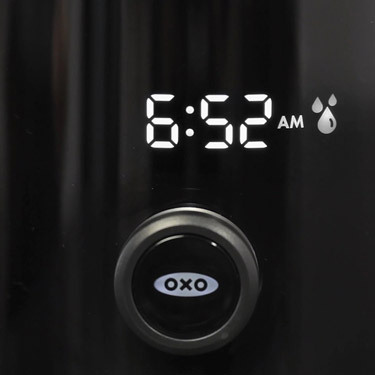 A wake up timer allows you to set your brewer to start whenever is most convenient. 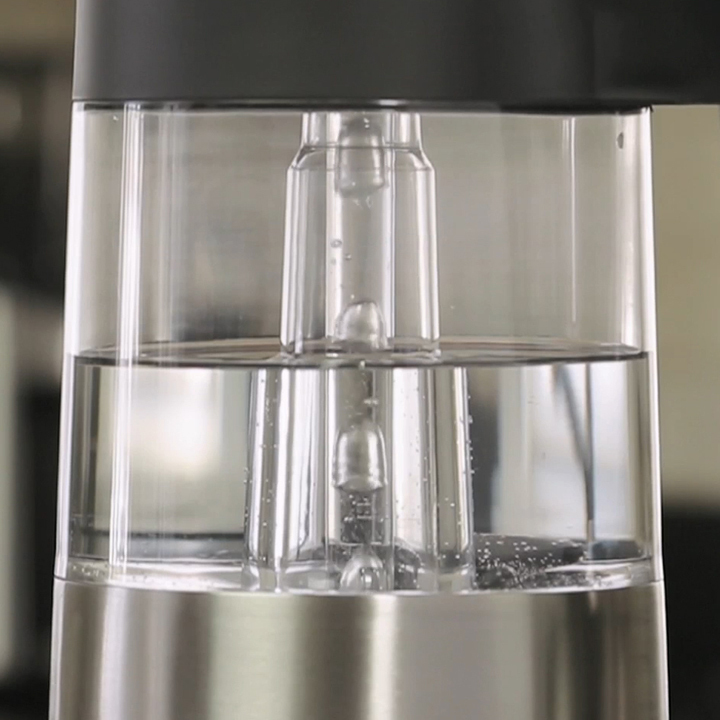 The vacuum insulated carafe is double-walled to keep your coffee hot and fresh.